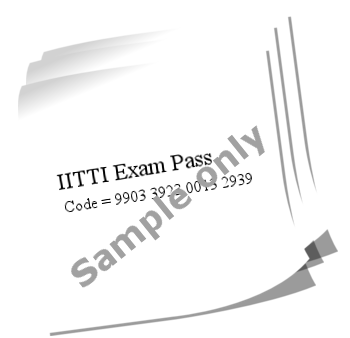 After your payment, contact IITTI at info@IITTI.org and we will email the exam passes to you. Note: if you are an AICI member and want to take advantage of the discounts available, go to AICI Discount Opportunity. For more info, try More FAQs.